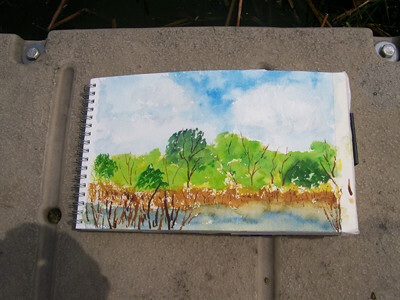 Sketch Class Results Lyman Woods Downers Grove – Let's Paint Nature! 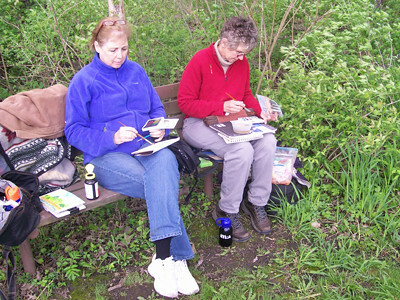 This month, at the suggestion of a sketch group member, we decided to meet at Lyman Woods in Downer’s Grove, IL, for our sketchbook MeetUp class. What a tiny gem! 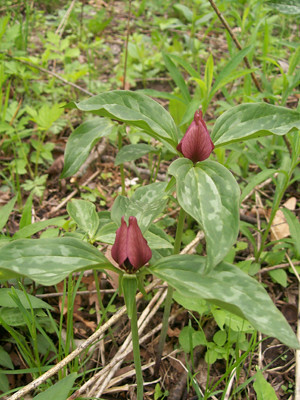 And crawling with springtime woodland wildflowers right now! 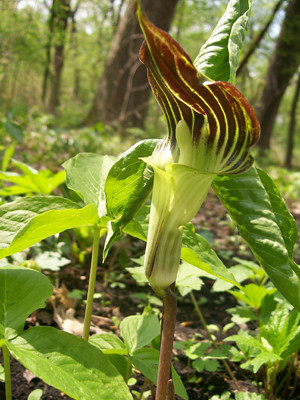 And my favorite…Jack in the Pulpit! 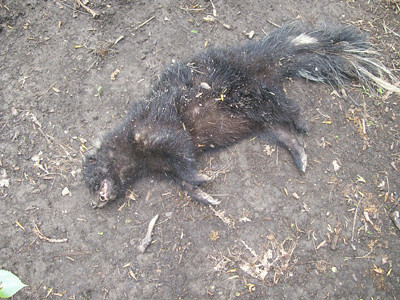 A dead skunk lying right in the middle of the trail. Poor fellow. We did not see any puncture wounds but we dared not touch it as he did have a smell about him! The group found many photo worthy shots and took advantage. But now it is time to get to work! Chop chop! Everybody found a spot suitable to their liking. 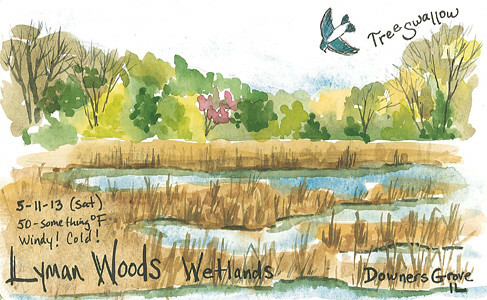 The wetlands of Lyman Woods is impossible to pass up. It was calling to us. Not only was the landscape beyond words, but hundreds of swallows zipped to and fro having lunch in the sky above the marsh. 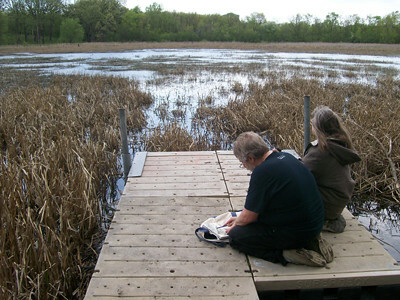 Some stood, some sat, it didn’t much matter how we accomplished our tast…our task to be students of nature. The bench made a perfect spot to lay out all of the supplies! We braved the conditions as long as we could. It was cloudy in the morning, with a persistent biting wind. 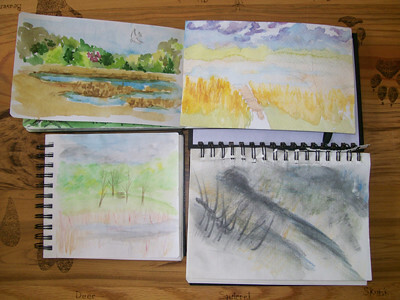 Here is the work in progress…. The groups work in progress. Sometimes it is just wise to finish at home than to provoke a harsh cold wind. Here is my final. I wanted to capture at least one tree swallow swooping in the air, flashing his bright white belly at me! 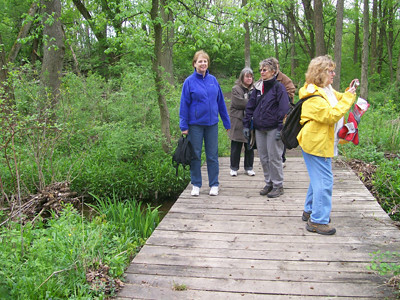 We had a wonderful visit to Lyman Woods. I can’t wait for our next adventure on the road! How I wish I could be with you on these journeys into nature! 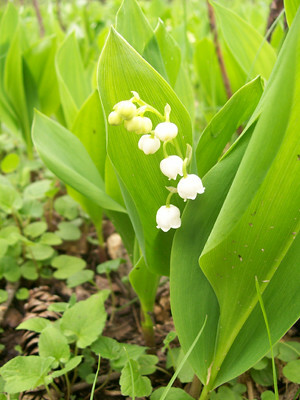 You are a hardy bunch in a biting wind! I love to watch the swallows. Thanks! Yes, the swallows are surely entertaining! I so enjoy seeing your adventures. I work full time and have very little time to be creative nowdays. 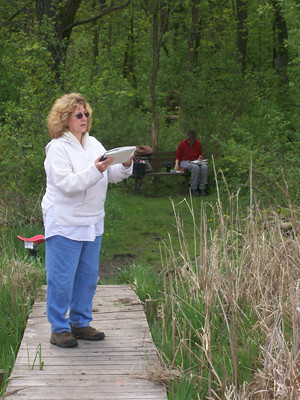 I am glad that I can live through the e-mails I get from Let’s Paint Nature. God bless you all as you appreciate the wonder of God’s beauty in His creation. Thanks Leslee! Yes, I am amazed by His handiwork and forever His student. Wow…what an honor! You too are with us in spirit as we go on our adventures!